After two weeks of intensive work at L’Alliance in Barcelona, Svenja and Rocky left us to go back to Sicily for their job on a superyacht. 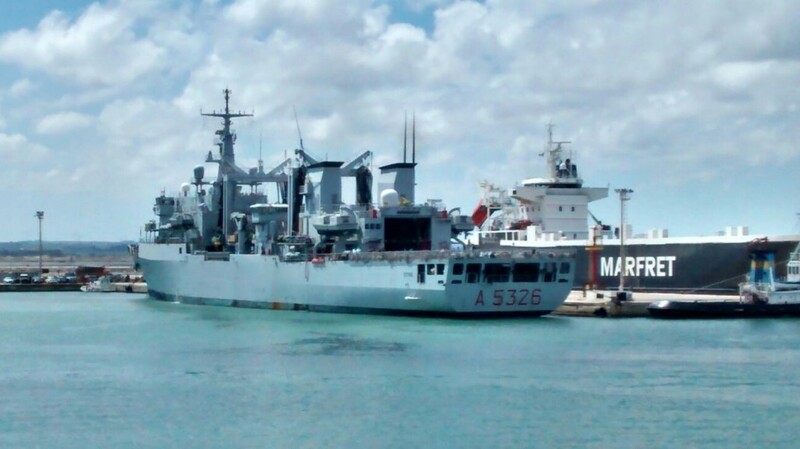 They arrived in Trapani just in time to be witnesses of an impressive human drama: about 1200 migrants where prisoners on the deck of a huge italian navy vessel, which intercepted them in their desperate attempt of crossing the Med to reach €urope. The high temperature (34º) was a real torture for all those poor people lying on the iron deck under the sun, and there was no info about how this situation could evolve. What a terrible contrast with the luxury vessel Rocky and Svenja work on! The day after, the newspapers announced (with no enthusiasm at all) that the 1.171 refugees, coming from Siria, Senegal, Togo and Nigeria, were finally disembarked and allocated to various Italian regions. It seems that there are already 2.700 refugees settled just in the Trapani province. From 2000 to 2013 more than 23 thousand migrants died trying to reach €urope by sea or overland across the boundaries of the old continent, 50 percent more than what the prevailing estimations claim. A massacre similar to a war, when it comes to size and number of deaths – an average of more than 1,600 persons a year -whose numerical dimensions emerge from a comparison among various sources of data, for the first time together in a single database: The “Migrants Files” – freely accessible from the investigation site – is the result of the attempt to construct a unique database on the phenomenon of migrants who die to reach the old continent. Unfortunately, despite being the most comprehensive database ever published, it still remains an incomplete source that cannot be fully proved. For example, we have noticed that the count starts from 2000 and some events still appear duplicated. It is also known that many victims are never recorded. Great effort, nevertheless.